Classic lounge Michael Chair. This piece of furniture is made from genuine Italian classic frames with a choice of fabric and wood finish, this version of the Michael chair has a crested back engraved at the top of the chair. 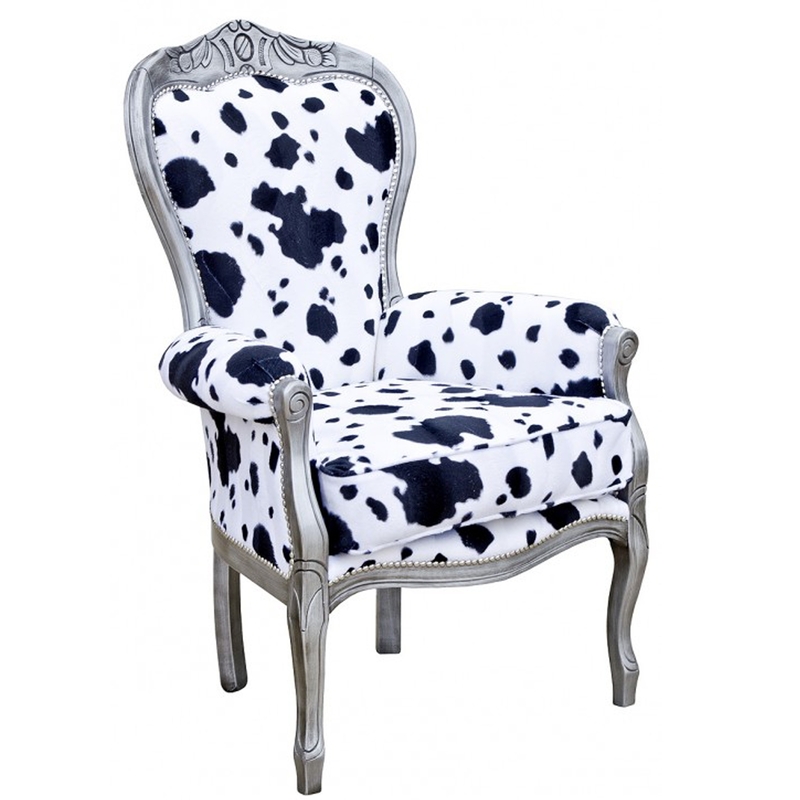 With a stunning cow detailed print this is the perfect chair if you are looking for detail and a more unique stylish effect.